I always have a pot of pandan growing in my balcony. The plant is easy to grow, looks a little untidy but is an essential for a Singaporean kitchen. The dark green sword like leaves look pretty unremarkable; when they are added into a pot of Basmati rice, the flavour the rice takes on is amazing. Making a pandan chiffon cake is another way of using this leaf. Here, the leaf is used for both colour and flavour. To extract the juice, you'll need about 5 leaves. Wash them well, cut them into small bits after removing the central vein, then put them in a blender with very little water. Pulse it till the leaves are ground, then strain it through a piece of muslin. Ready to use pandan paste which has both the flavour and colour is also available in stores in Singapore. 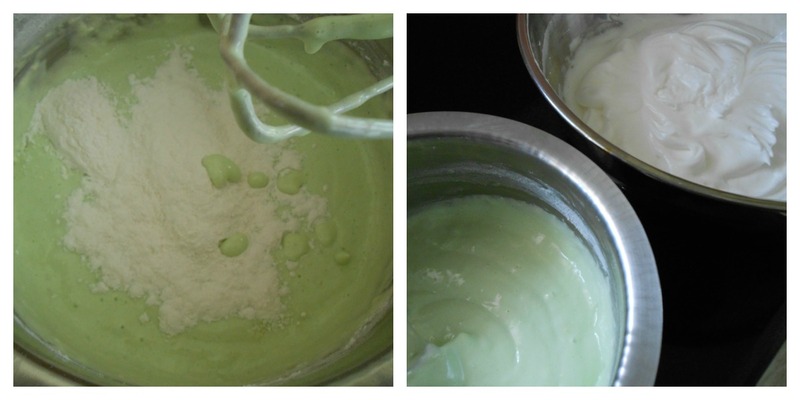 My recipe for pandan chiffon cake uses oil and coconut milk. You can use canned coconut milk but if you prefer making your own, grate half a coconut, add a little warm water to it and blitz it in a blender for a couple of seconds. Pass it through a piece of muslin and squeeze out all the liquid. It should measure about 200 ml. The cake is unbelievably soft and light. Pandan is of course an acquired taste and one can get used to its taste soon enough. I use 7 eggs for this recipe, they need to be separated and to save washing up, I whip up the whites with half the sugar first, also adding the cream of tartar. Then the yolks are beaten with the remaining sugar, a little more cream of tartar, oil, pandan juice, vanilla essence and coconut milk. At this stage, a little green colouring can be added. The flour and baking powder are gently folded into the yolk mixture, then the stiffly beaten egg whites are folded in. The batter is poured into an ungreased tube pan and baked. If you don't have a tube pan, you can use a ring pan but of course it won't look like a chiffon cake. After the cake is baked, the tube pan is turned over a wire rack and the cake left to cool. This supersoft cake can be stored at room temperature for a day, after which it has to be refrigerated. Sieve together the flour and baking powder, keep aside. 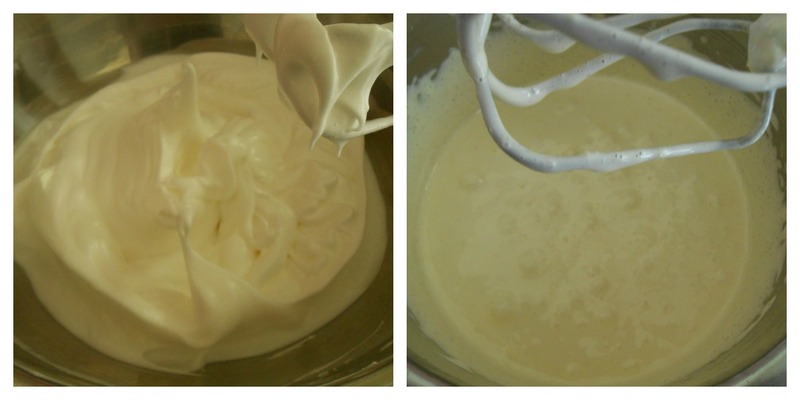 Put the egg whites, cream of tartar and sugar into a mixing bowl and beat with an electric beater till stiff. In another bowl, place the egg yolks, cream of tartar and sugar and beat till light and foamy. Add in the oil, pandan juice or flavouring, vanilla essence, coconut milk and the food colour. Stir it in well into the yolk foam, then gently blend in the sifted flour. Pour into an ungreased 9" tube pan and bake at 175°C for about 50 minutes. The top of the cake should be firm to the touch. Turn the tube pan over a wire rack and let the cake cool to room temperature. Run a thin blade or a firm strip of plastic all around the edge of the pan to loosen it from the pan. Slice with a serrated knife.